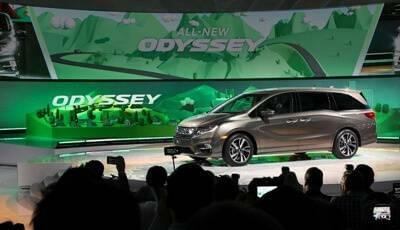 Minivans have come a long way over the years. In fact, when you look at vehicles such as the 2018 Honda Odyssey, it can make you excited to get behind the wheel of one. This model includes all the features and amenities you want—and some you didn’t even know you wanted—as well as plenty of conveniences that ensure you and your passengers enjoy your ride through Goshen and other New York areas. Explore more about this brand new model below. Having control and connectivity while on your ride is important, and Monroe drivers will soon see how the new Odyssey delivers both of these to your driving experience. First, the Honda CabinWatch and CabinTalk feature make it easier than ever to see and communicate with passengers in the rear seat. This is great for parents of young children or even for those taking a longer trip with adults. Now, everyone can be a part of the conversation, even if they’re sitting in the way back. The Honda CabinControl feature allows those in the rear to control their own temperature, change the music, and even send addresses to the driver’s navigation. This way, you and your passengers receive all the comfort and conveniences you crave, even if you’re not sitting shotgun. Finally, the Magic Slide second row seats are a blessing in disguise. With these seats, your passengers can easily move the second row seats up to provide easier access to the back row. 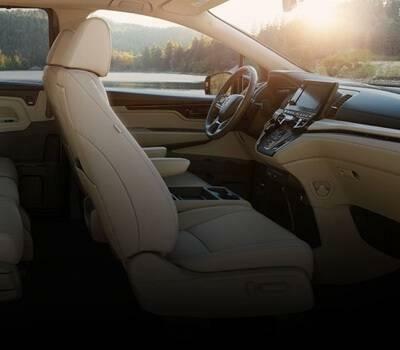 In addition, those in the back have access to an advanced rear entertainment system, so you can rest assured long road trips are more peaceful and enjoyable for everyone. The 2018 Honda Odyssey is a great vehicle that offers so much more than other minivans in the Monticello area. When you want to see what convenience and reliability feels like, visit Middletown Honda. Our dealership, located at 520 Rte 211 E in Middletown, NY, offers a large selection of models, and our team is always available to help you with financing options or other questions. Contact us today at(855) 473-3050 to be first in line when the 2018 Honda Odyssey Arrives!